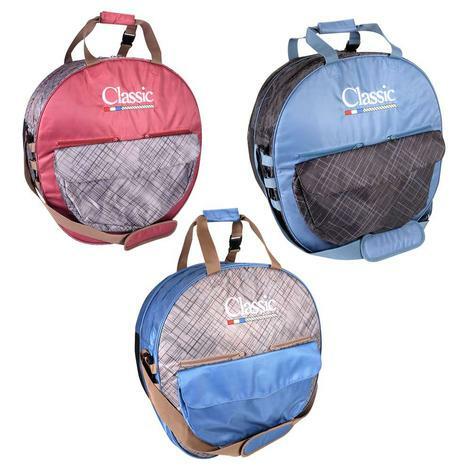 Classic Rope offers their Basic Rope Bag in two new colors to get your and your gear to the next roping. 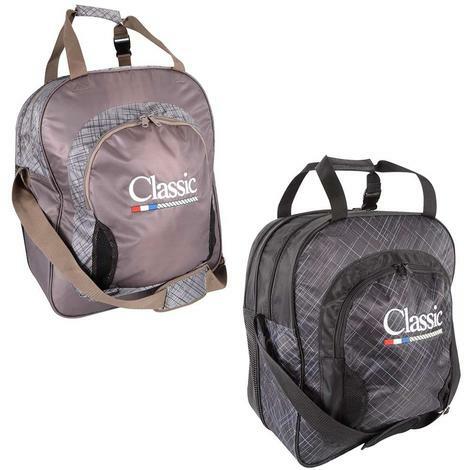 Nylon material with padded rope compartments as well as an outside divided pocket. 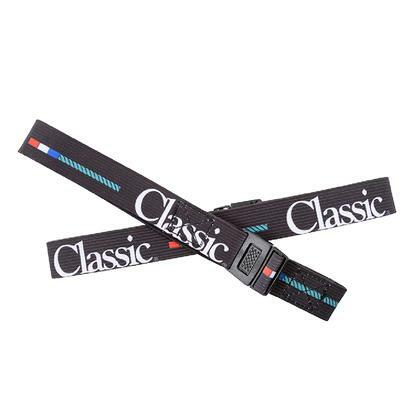 The padded shoulder strap is detachable and handle straps buckle. 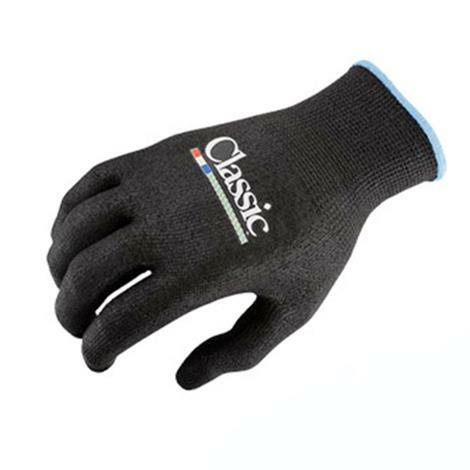 Mesh pocket self closes with elastic tops hold everything from gloves, powder, dallies, etc. 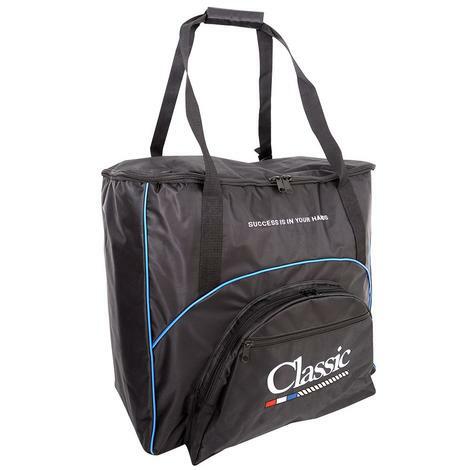 The Classic Rope Deluxe Rope Bag is essential for storing and hauling your roping equipment. Two easy to access padded main compartments to keep ropes neat and organized, one mesh bottom. Handy drawstring adjusts the size of the main compartment and a the mesh bottom lets dirt slide through. 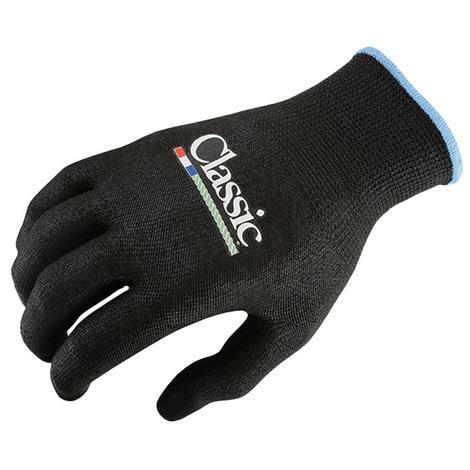 Three inside zipper pockets, two outside pocket with hook and loop closure, and buckle straps for easy fence attatchment. 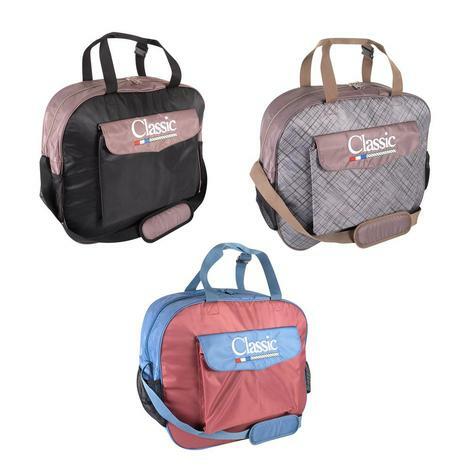 This Classic super deluxe rope bag features two large padded rope compartments, three front pouches with buckle and zipper closure, three sets of straps (one detachable padded shoulder strap and handle straps), a cell phone side pocket and opposite side mesh pocket. 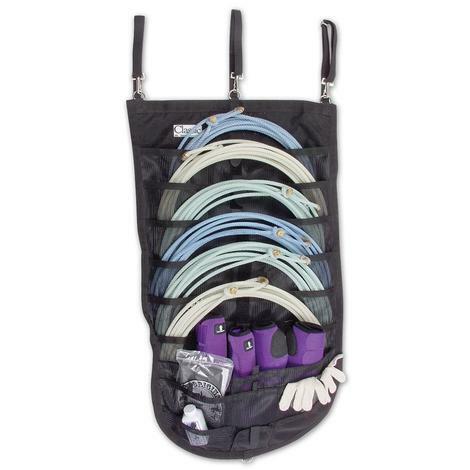 This deluxe bag is designed to fit all of your roping needs with tons of storage and organization. 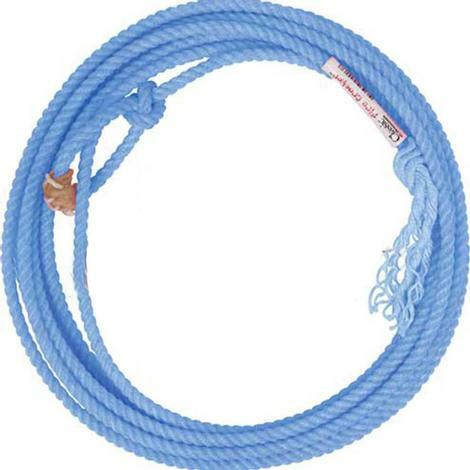 Can hold 7-8 ropes. 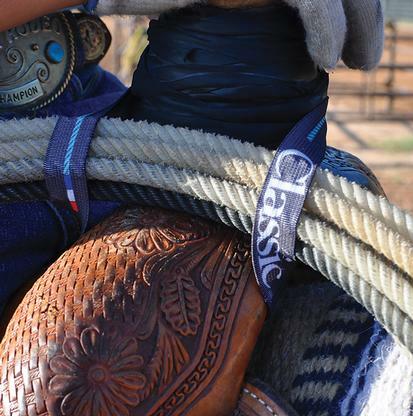 The Roper Wrap Dallywrap made of superior rubber with 1" strips cut precisely for easy to use, long lasting performance. 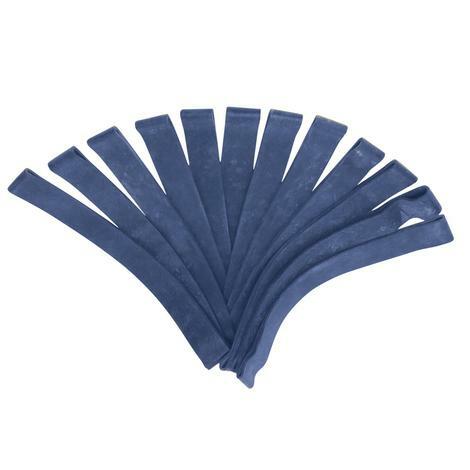 Package comes with 12 strips per pack, in a resealable bag, and is available in black or blue. The NXT4 is the latest heel rope from the Classic Rope line. 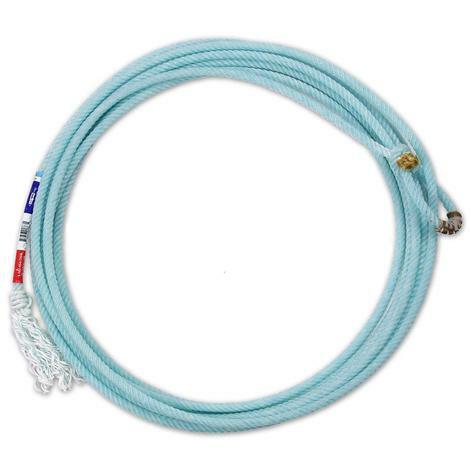 This revolutionary four strand rope features a unique poly-blended fiber, with a fast and smooth feel. 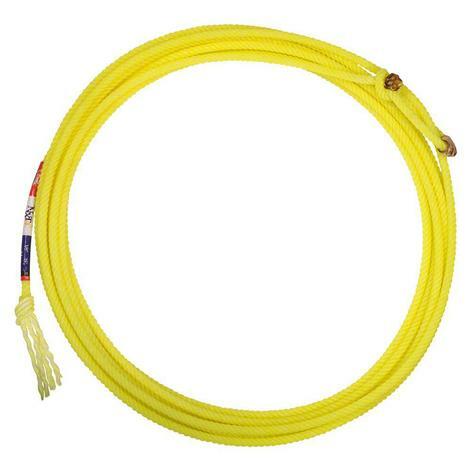 The NXT4 helps ropers guide their tip as the bottom strand finds its way to the ground with a wide-open loop. This rope is technologically advanced. The weight of the poly helps provide better tip feel. Four strand. 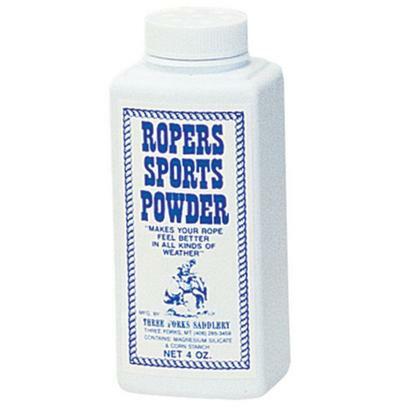 This bag holds up to 10 ropes. 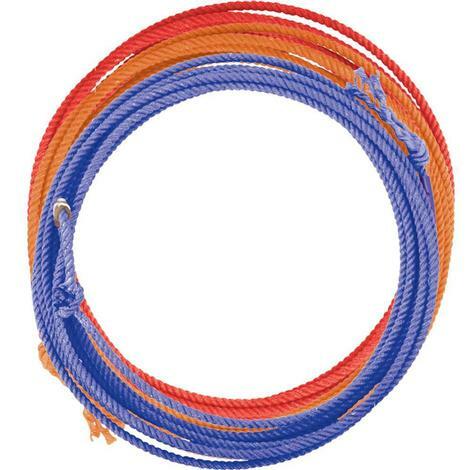 The large pockets allow ropes to be stored in larger coils so they rest in a more natural state. Adjustable handle strap and removable padded shoulder straps. Back pocket keeps shoulder straps out of the way when not in use. With a tough PVC mesh front, 600 denier poly back, and three nylon straps with buckles and rings, you can hang the Rope Organizer anywhere from a trailer or tack room door to the arena fence. Each of the six compartments hold up to three ropes, and the seven smaller compartments hold gloves, powder, boots, etc. Black. 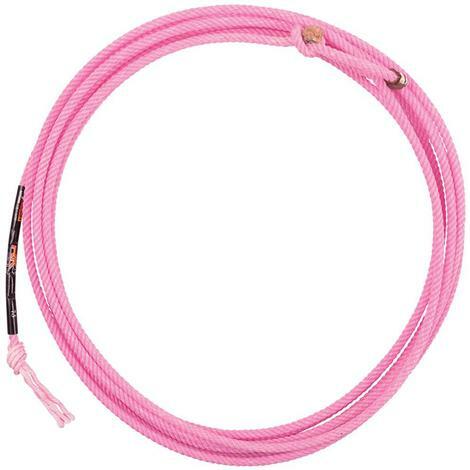 The 4-strand Xtreme is easy to handle and great for dummy roping, goat roping, or just playing around! With its patented Coretec core, the XR4 always feels right in your hands and right when you throw. Delivering more control and power, it provides more weight and extra body for better tip feel and more accuracy. 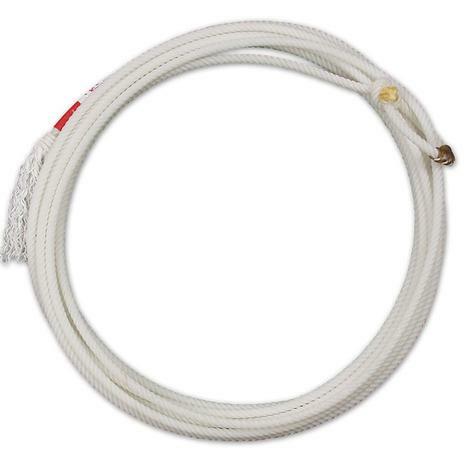 The XR4’s straight nylon core compensates for a less than perfect delivery. 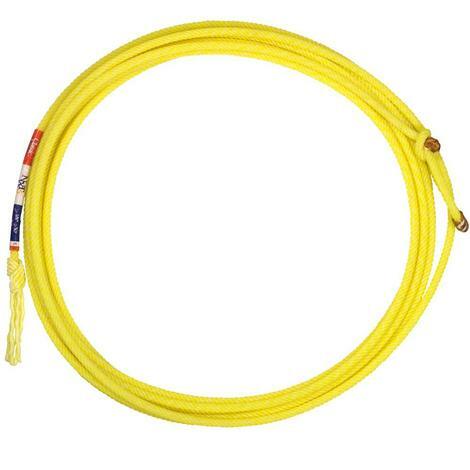 The Powerline Lite has four strands of twisted nylon and polyester filament wound around a Coretec nylon core. 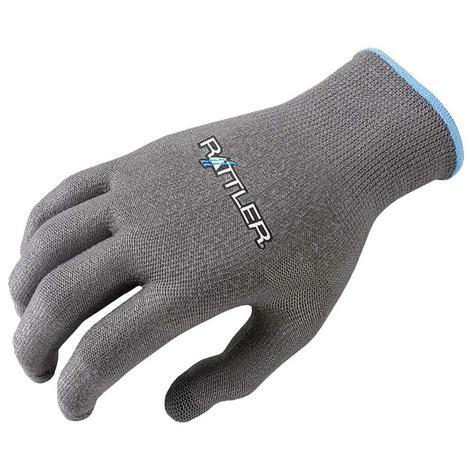 This increases its weight and body, allowing for greater accuracy and control. The core widens the loop, maximizing your ability to make catches, and its smooth surface permits faster feeds.